Whale Otay, originally I was gonna try poondin’ this out way back in September... But alas, it’s been trapped in the No Fenders Wormhole Vortex; CRIKEYS! That sure is a crowded space, eh? Asking Ned if he had a car present? Ned said Yeah mines the yellow Saleen Convertible. Going on to explain that it was only 1 of 15 produced that year and that he’d been fortunate to win the prospect of acquiring it thru a lottery Saleen Performance Inc. had held... As I’ve already forgotten what year it was? 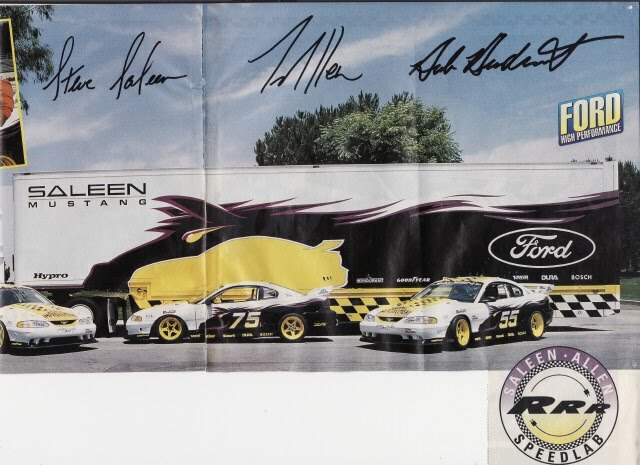 Thus the Saleen saga is even more convoluted then I with to try explaining, but fortunately Steve & Co. have set up a new enterprise in Corona, CA named SMS Supercars. 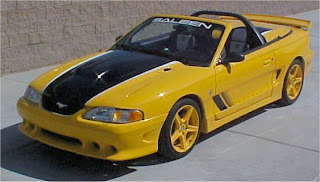 While perusing ze internets, I also learned that Ned’s chariot was a 1998 SA-15 Convertible, hence the miniscule production lot of 15 chassis that were apparently offered thru the SOEC (Saleen Owners Enthusiast Club) to prospective buyers. As it also claims that the SA-15 was the first Factory built S281 with Supercharger, and Uh Duh! It’s a very pretty car in the buff... Especially on a sunny day! SWEET – NED! And with my newly acquired white cane in hand I gravitated towards a group of three Gentlemen doing their best Tim Allen impersonations, chattering on ‘bout 465 cubic inch blown superchargers, etc. Admiring the nearby Mustangs, I knew the sunshine was playing tricks upon me, that ‘Stang can’t be fuchsia! So I waited for a lull in the conversation and asked: “Can I ask Y’all a silly question?” To which they sheepishly replied: “Depends upon the question?” Telling them I was “Visually Challenged” I inquired if the trio could decyper the cars colour? To which I naturally got three different answers. Oh, it’s black; no, it’s a dark grey, or is it a deep charcoal gray? Thanking them I walked around all of the Mustangs a second time before traipsing back to the Transit Centre to catch my Metro bus home, awash in the afterglow of a most enjoyable extremely low key Car Show! 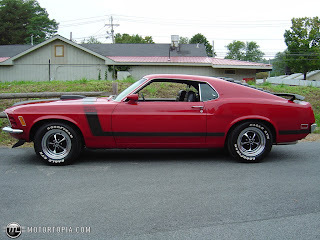 629.1; $70,000; $77,000 1970; Ford Mustang Fastback – BOSS 302. 632.1; $82,000; $90,200; 1965 Shelby Cobra 427 – CSX4000 series Roadster. 665; $90,000; $99,000; 1965 Shelby Cobra 427 – CSX6000 series Roadster. Hammer = Auction selling price. Total = Auction selling price + Barrett Jackson’s 10% Commission fee. The car seemed to stall at $60k before the Auctioneer managed to move the needle to a final Hammer price of $70,000.